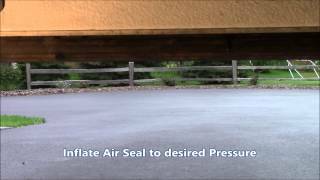 Dynamic Rubber, Inc. specializing in hard to seal applications by utilizing rubber inflatable seals to pressurize the sealing space. 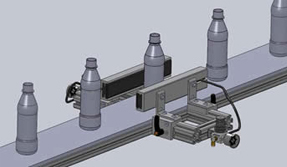 DRI is in many industries including, medical, marine, composite molding, semiconductor, food, chemical and pharmaceutical processing and many others. Many of the inflatable seals we manufacture are for custom applications or can be adapted to existing standard inflatable seal requirements. We manufacture with many different types of compounds and fabrics. These include , EPDM, Neoprene, Silicone, FKM, Nitrile, Butyl and others. Standard fabrics are Fiberglass, Nylon, Dacron and Kevlar. A fabric reinforced seal is a completely molded seal that is built around the same operating principles as a homogeneous inflatable seal. The addition of fabric helps increase the amount of internal pressure by which the seal can operate, where higher pressures are required in a non-enclosed environment. Profiles 2 Click the above link to see standard profiles. 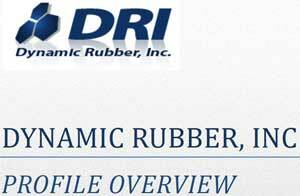 Dynamic Rubber can also match any competitors profiles. Please contact us for further information. There are several various conditions which merit the use of a fabric reinforced seal. 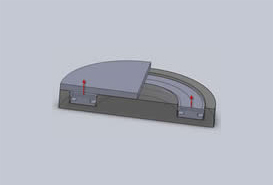 However, the common reason for using a reinforced seal is to achieve higher pressures. Fabrics Available Depending on the conditions that your seal will encounter, we can use nearly any fabric available to reinforce an inflatable seal, calendared sheet rubber, or rubber extrusion. Some fabrics used will have limitations with regards to the thickness of the fabric that can be applied within the part, and what temperatures a fabric can withstand during operation. Note: Fabric reinforced seals are still prone to over pressurization and can fail if not properly operated. 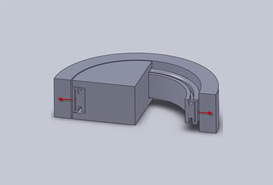 These seals can also fail if they are cut or if a hole is poked into the side-wall of the inflatable cross section. 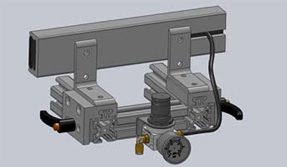 For these applications we can supply you with the safe operating & installation guidelines. If you are unsure if you need a fabric reinforced seal, give us a call to determine what you need to get the job done. 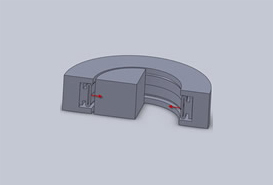 In many cases, the use of a proper retention system for a homogeneous seal can be employed to compensate for a high pressure requirement. 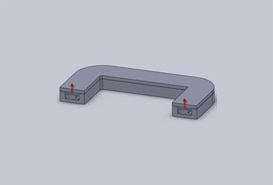 With a proper retainer and seal design, a homogeneous seal can often take advantage of a thicker profile which can stand up to the most extreme pressures. Overview of all shapes and sizes.